As with any industry, fashion has a complex and extensive web of people and processes going on behind the scenes that few are fully aware of. Entering the fashion industry from an obtuse angle myself, I’m constantly baffled by the entangled supply and production networks spinning frantically to keep every single person on the planet clothed. One thing that keeps surprising me is the extent of informal manufacture done by home sewers. This seems both a throw back, and a hangover from the pre-industrial age, before manufacture was centralized in factories. 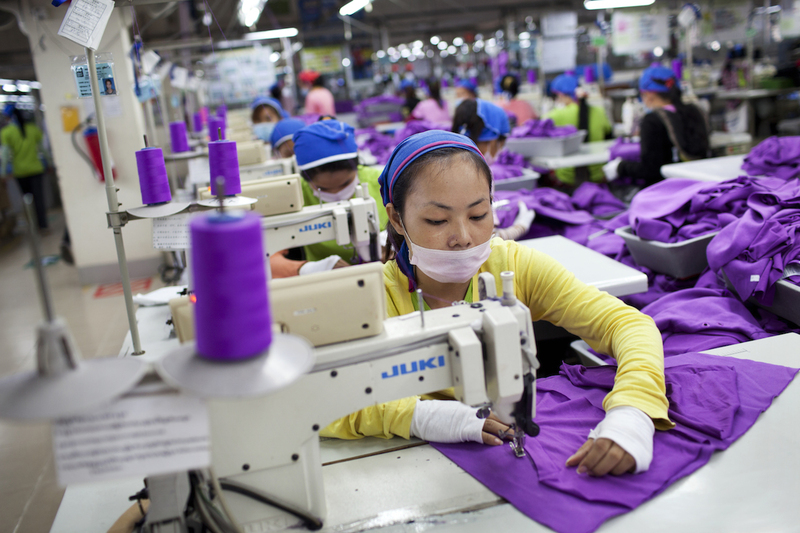 Today the practice is more widespread than you’d think, and seems most prevalent in two segments of the garment industry. First, small clothing businesses that are unable to produce the minimums required by established factories often have their garments manufactured by home sewers. More established labels also make use of home sewers for pre-production processes like sampling and patterning, before getting larger quantities produced by a factory. Second, intricate finishing work (like beading and button holes) can be costly to in-source and are pretty easy to have done by home sewers. This outsourcing can extent to the full scale manufacture of garments being dispersed through a network of smaller home based operations. From a businesses perspective, home sewers reduce the cost of labour by eliminating expenses such as electricity, toilet paper and management. It also permits much smaller runs of garments to be completed at a profit. This allows new businesses the chance to enter the industry by producing smaller quantities while building capital. For the sewer, working from home eliminates (or at least reduces) transportation costs to and from work, and helps families supplement household income. It also keeps the skill alive by including the whole family in the operation. My father’s family still does some work in this manner, and I attribute my sewing skills mainly to what I learned at home from my mother. Inclusive of problems like irregular work loads and low pay, is the main issue is that home sewers have less formal (read: non-existent) labour agreements with their employer/s. These sewers cannot take paid leave, bargain collectively for better wages, or obtain legal assistance in labour arbitration, since there is no contract to speak of. Of course such arrangements can be as great or terrible as people make them, but when consumers are unwilling to fork out more than R100 ($7) for a shirt it’s usually the person behind the sewing machine that gets fucked first. In general these sewers are also paid per garment, not considering the costs they accrue in maintaining their machines, using electricity, traveling to and from the business’s offices, and the cost of lost learning and socializing that come with formal employment. If only people weren’t such cheap skates the world would be covered in flowering meadows and people hugging pandas! I mean how hard is it to just look for the bloody Fair Trade label in your pants eh? Well…actually my own eyes have seen a factory so filthy one could barely breath packed to capacity with undocumented foreign nationals (that’s the PC term these days right?) sewing in Proudly South African garment labels. 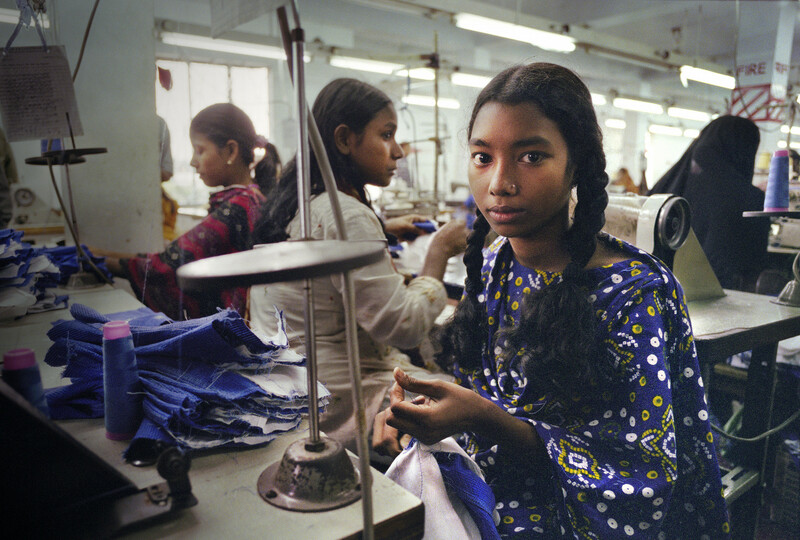 The practicalities of the problem; the highly complex, dispersed, fluctuating and undocumented relationship between garment factories and their workers; by their very nature makes it near impossible for even international organisations such as Labour Behind the Label, let alone budget conscious end-use consumers, to know how exactly garments are getting made, and whether or not the sewers get hourly mani-pedi’s. Although labels like ‘Proudly South African’ or ‘Fair Trade’ can’t entirely guarantee a garment’s ethical manufacture, supporting these initiatives (with your purchasing dollars) does help push the rock up the hill, despite some slippages. These and other organisations investigate and expose uncouth labour practices, and in our highly connected world it’s pretty easy to access this information (just google H&M, if you haven’t heard about their recent embarrassment with manufacture). As one single man I can’t definitely explain why taking on outsourced work is great for me, but terrible for others. I feel, at least to some extent, that the problem is poverty itself; I’m able to get a good per-garment rate because I can easily refuse work that isn’t worth my time. My situation (both economically and socially) is stable enough not to depend on any one project. Where people have little to no other avenues of income, and a social network all in the same boat, it’s harder to pass up the opportunity for even a little money, even if it means destroying your machine and keeping your kids out of school. I love most the strategy of providing education for home sewers and their families. This not only up- and differently skills them to have greater bargaining power, but also broadens their horizons in general. The best way to be cool is to join the email list, or to subscribe hit the follow button for this blog.